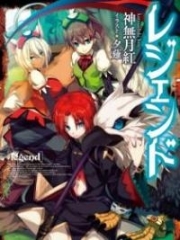 You’re reading novel The Demonic King Chases His Wife: The Rebellious Good-for-Nothing Miss Chapter 424 online at LightNovelFree.com. Please use the follow button to get notification about the latest chapter next time when you visit LightNovelFree.com. Use F11 button to read novel in full-screen(PC only). Drop by anytime you want to read free – fast – latest novel. It’s great if you could leave a comment, share your opinion about the new chapters, new novel with others on the internet. We’ll do our best to bring you the finest, latest novel everyday. Enjoy! “Beichen Ying, you dare!” The crown prince’s eyes were malicious, he shouted loudly with violent fury. “As long as we wipe out all of you, who will know it was us who killed all of you?” Beichen Ying seemed to really have this intent, and shot a meaningful glance towards Lan Xuan, them two. The three of them formed a circle and simultaneously approached the crown prince. It was really like what Beichen Ying said, to kill someone here, in order to silence them, this place was simply too suitable. “Second oldest is second oldest, we are us. We never swore not to kill you oh, stupid crown prince.” Beichen Ying smiled happily as he got nearer to the crown prince, the other two were also getting closer. A fearful expression came across the crown prince’s eyes. Nangong Liuyun indeed did swear an oath, however, he didn’t swear it on behalf of these few childhood friends of his. He knew that these few individuals extremely loathed him, maybe they really would…. The three of them, with Beichen Ying, formed a triangle and surrounded the crown prince who was in the middle. Now, the crown prince looked like a trapped, condemned beast. Just at this most critical juncture. Suddenly, from the ground came a slight noise. “Not good!’ Beichen Ying surrept.i.tiously had a bad premonition all of a sudden, he hastily retreated backwards. Suddenly, this stone room seemed too strange, why was it that there were traps and snares everywhere? Now, a hole appeared out of the ground from nowhere, it directly swallowed up the three in Beichen Ying’s group, along with the crown prince. The four people simultaneously dropped into the black hole. In a split second, the four people’s figures vanished without a trace. In a blink of an eye, the ground once again was restored to its original state. It was as though a black hole had never appeared previously. Su Luo bit her lower lip and pressed up tightly to the wall, deep worry lines flashed across her eyebrows. In the end, what was going on? Why was it that people would vanish in an unbroken succession? It seemed as if imperceptibly, there was a hand manipulating everything, and they were like the chess pieces in the opponent’s palm, being toyed with by him. Now, there was not much time, and she didn’t know if Beichen Ying and them would meet with a mishap…also, there was Nangong Liuyun…A worried expression flashed through Su Luo’s eyes. Su Luo felt that in front of her eyes, it had gone black, a man’s image that stood straight appeared in front of her. She lifted her eyes and encountered a pair of eyes that was full of maliciousness and rancor. “Li Aotian!” Su Luo clenched her teeth and exhaled out in a low voice. Now, the corner of Li Aotian’s mouth burst open in a coldly detached and sneering smile. His sinister gaze stared fixedly at Su Luo, unblinkingly staring at her, and giving a person an eerily strange kind of feeling. Su felt her back become a little chilled. This kind of Li Aotian was ten times scarier than when he was being coldly detached. He closed in step by step, Su Luo could only continuously retreat…. What to do? The killing intent in Li Aotian’s eyes were just that obvious, Su Luo could see it with one glance. Furthermore, it was not the kind that would be settled with one cut, rather, it was the kind where she would constantly be tormented…until she died. Su Luo had never once wished she had peerless formidable strength as she did now. Now, she was only a third rank whereas Li Aotian was a sixth rank. In his eyes, she was a piece of fish meat on top of a chopping block, no matter how he slaughtered, she lacked the strength to resist. .
“Aren’t you also fine?” Li Aotian forcefully got closer step by step, with a smile that was not a smile, as he approached Su Luo. 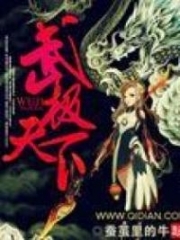 You're reading novel The Demonic King Chases His Wife: The Rebellious Good-for-Nothing Miss Chapter 424 online at LightNovelFree.com. You can use the follow function to bookmark your favorite novel ( Only for registered users ). If you find any errors ( broken links, can't load photos, etc.. ), Please let us know so we can fix it as soon as possible. And when you start a conversation or debate about a certain topic with other people, please do not offend them just because you don't like their opinions. 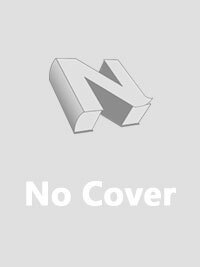 You're reading The Demonic King Chases His Wife: The Rebellious Good-for-Nothing Miss Chapter 424. This novel has been translated by Updating. Author: Su Xiao Nuan,苏小暖 already has 12301 views. Current Time is Apr-21-2019 02:21:12 AM.